Woodleigh MRT is one stop away from Serangoon MRT Station interchange which is the connective station for North East Line and Circle Line. Circle Line runs through the West and East of Singapore and connects stations such as Botanic Gardens station and also the important Paya Lebar Hub Note Station. Other stations include Buona Vista (Commercial and Medical Hub), Holland Village (another planning estate), Mountbatten, and Esplanade. After the completion of circle line, the travelling times of commuters were reduced drastically and much travel times were saved. The North East Line is where Woodleigh MRT is on, travelling to Dhoby Ghuat MRT station interchange will be within 15 minutes, it is also directly serving the Harbour Front Terminal Station, which has a monorial system to Sentosa Island in Vivocity Mall. This new interchange will be located just beside Woodleigh MRT to facilitate connectivity for commuters and will be ready around year 2019, it will have 5 bus services, the plying routes will be confirmed. It will be “tucked away and hidden from the street view”, sitting below a carpark and neighbourhood garden flanked by blocks of flats, according to the HDB’s plans seen by The Straits Times. The Central Expressway (CTE) is the only expressway that connects the city to the northern areas of the island such as Toa Payoh, Bishan and Ang Mo Kio. 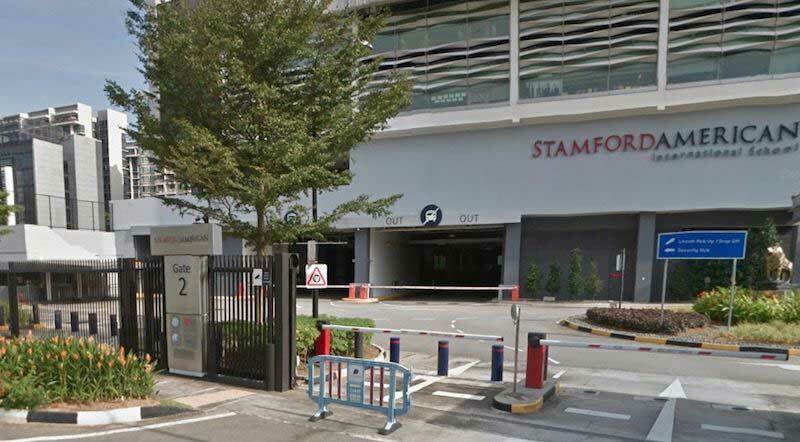 The entrance for CTE is via Braddell road for residents of Park Colonial. The CTE’s southern end begins at Bukit Merah and runs through the Central Area, Toa Payoh, Bishan, Serangoon and Ang Mo Kio. The Pan Island Expressway is the oldest and longest of Singapore’s expressways. Currently, it is also Singapore’s longest road. It extends along the length of the island, connecting Tuasin the west to Singapore Changi Airport in the east. Its length is 42.8 kilometres (26.6 mi). 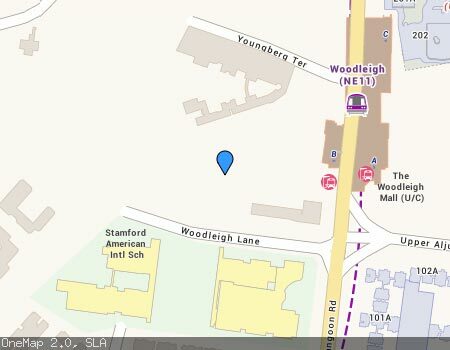 PIE connects the residents of Woodleigh area to Whitley, city, Paya lebar, and Eastern part of Singapore. 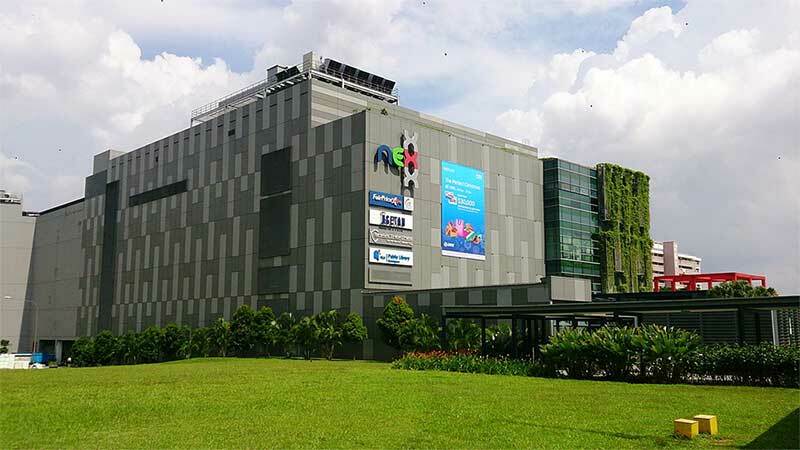 NEX is a regional shopping mall in Serangoon, serving the North Eastern Region. Is it the largest mall in North-East Singapore and one of the largest suburban malls in the country, and is integrated with the air-conditioned Serangoon Bus Interchange and Serangoon MRT Station. In 2014, the mall underwent minor renovations, such as renovating a part of Level 1 to incorporate fashion giants Uniqlo and H&M, and relocating Kiddy Palace to level 4. The mall’s tenant mix was also slightly refreshed as well, such as Anytime Fitness opening on the roof level of the mall, and various beauty tenants occupying a part of Basement 1 and Level 1, such as Innisfree, Sephora and jewelry shops such as Svaroski. Poiz Centre is a new shopping mall in Potong Pasir Region and will provide an extension of shopping needs and options for the residents in the area. It is fully air conditioned and is easily accessible by Serangoon Road and MRT stations. The Poiz Centre will be an alternative yet popular shopping destination for the residents of Potong Pasir and Woodleigh when it is completed in the near future. It will attract many others to come and settle their shopping and groceries needs. The Venue Shoppes is a short walk from Potong Pasir MRT Station. Shoppers will be able to indulge in a wide variety of dining options and eateries. It is part of the plan to have this shopping haven to serve the new housing estate in Bidadari Estate. Stamford American International School (SAIS) is the only school in Singapore to offer the full International Baccalaureate (IB) Programme integrated with US Standards, combined with the College Board’s Advanced Placement (AP) courses. At Stamford American, their aim is for your child to achieve more than they believe they can… academically, socially and as ecologically literate citizens in our culturally diverse world. Stanford students not only have the opportunity to choose a sought after education pathway to help realize their academic ambitions, they are also provided with life skills reflective of the IB Learner Profile as adaptive, thoughtful and principled young adults, with a fostered inclination to design, innovate, problem solve and communicate. Cedars Girls Primary School is focused on nurturing leaders of good character. It is a quality school with over one thousand pupils and students. The school excels not only academically but also builds well rounded students by encouraging in extra curricular activities. All teachers are convicted and dedicated so that every student can reach their full potential. The parental support aspect is also very strong to inculcate an inclusive environment for the parents to be involved with the growth of their children. 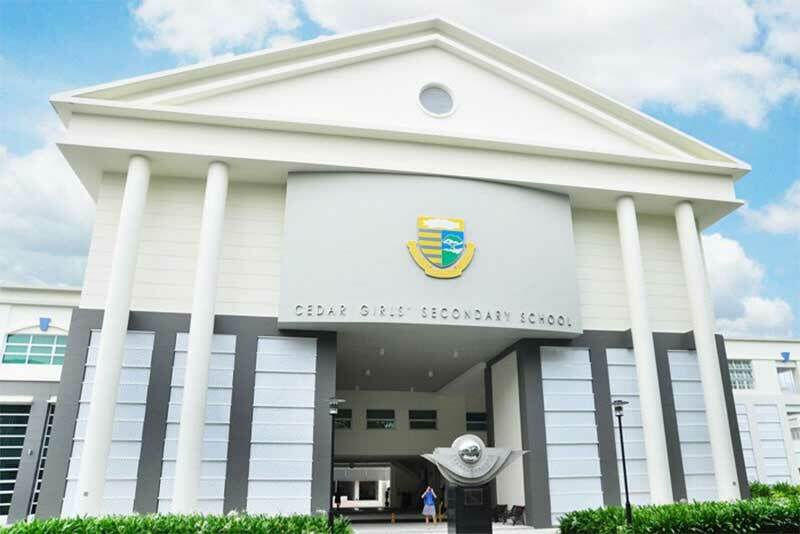 Cedar Girls Secondary School is also a good school to progress to after Cedar Primary and works closely with the communities to build well rounded and balanced individuals and future leaders of the society in Singapore. At SAJC, they believe that “no one is here by chance” and that if you are a student in this College you become part of a family of Saints to be nurtured and cared for through a well-balanced education with a strong emphasis on values. The teachers and alumnis believe that every Saint has the potential to lead and shine whatever their talent or interest. Apart from MOE’s awards such as the Good Progress Award and Edusave Awards for Achievement, Leadership & Service (EAGLES), SAJC also offers students a number of awards and scholarships that have been set up by alumni and the St Andrew’s community. These awards recognise students with good conduct, academic excellence, as well as outstanding leadership qualities. SAJC believe strongly in providing students with opportunities to be exposed to learning overseas. For example, there are curricular based enrichment and fieldwork for Literature and Geography, while those in the Talent Development Programme get opportunities for overseas immersion trips. Both sports and performing arts CCAs conduct training and cultural immersion programmes on a regular basis. In addition, students are sent overseas for Olympiads and competitions as well as community service. These trips have taken Saints to countries like Spain, Germany, China, the United Kingdom and the United States among others. In 1996, Maris Stella High became an autonomous school, the additional funds providing extra programmes and facilities. From 1995 to 1997, the school moved to a temporary site at Mount Vernon Secondary School while the school was rebuilt. In 2002, Maris Stella High was designated as a Cluster Centre of Excellence for Information and Communication Technology (ICT). A unit of Chip Eng Seng Corp and Unique Real Estate has put in the top bid for a plum site in Woodleigh Lane. The Government land sales site tender attracted 15 bidders – close to what analysts had predicted – with offer amounts exceeding expectations. Unique Real Estate is a joint venture of Heeton Holdings and KSH Holdings units. 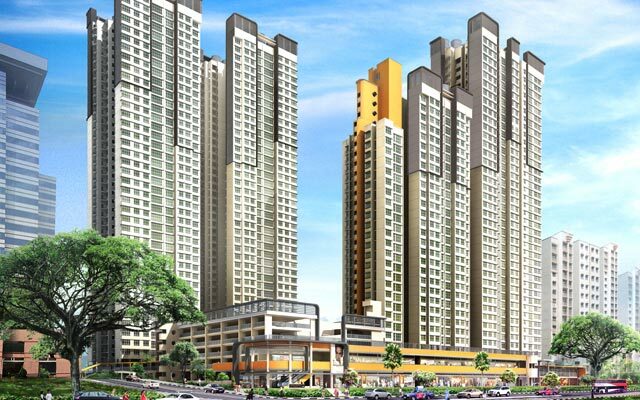 The land is next to Woodleigh MRT station, adjacent to Bidadari New Town and near amenities such as Nex shopping mall. 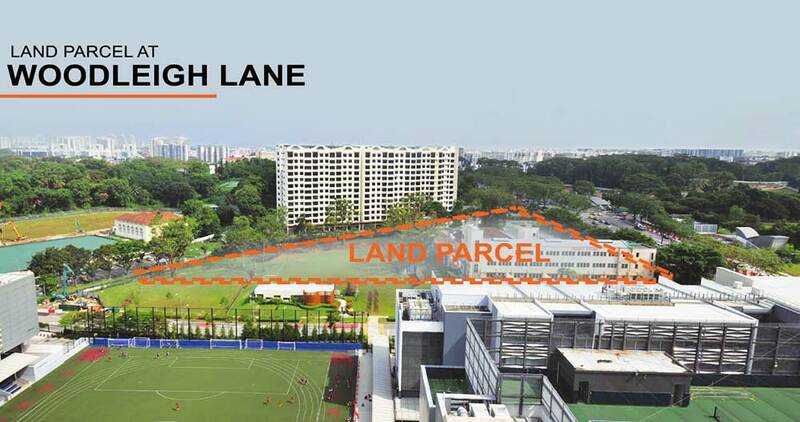 The 19,547 sq m site has a maximum gross floor area of 58,641 sq m.
The open tender of the GLS attracted many developers and was high sought after due to its location and direct doorstep to Woodleigh MRT station, many bids were aggressive, despite the large size of the site and the heavy financial commitment required. About one-third of the 15 bids were above $1,000 per sq ft per plot ratio (psf ppr). Given that the parcel is in a highly attractive location. The bid points were not surprising. Depending on how the development façade and design orientates itself, residents will enjoy unblocked views of surrounding greenery and horizon, as the site is adjacent to the landed housing area, thus offering permanent views..
Based on the land bid, the selling price of the proposed development is ecpected to range from $1,720 psf to $1,800 psf. The estimated launch price for Park Colonial will be around 1800psf, taking into consideration Construction cost, expenses and profit margin, and based on the land cost of 1110psf ppr. Bidadari Estate is planned as a tranquil urban oasis, where residents can relax and connect with family and friends in a garden-like setting. Envisioned as “A Community in a Garden”, Bidadari Estate will feature a centrally-located 10ha Bidadari Park, which will connect to a Central Green Spine. Bidadari Park is well-connected to the residential estates through pockets of open spaces. Part of the tree-lined Upper Aljunied Road (from Upper Serangoon Road to Vernon Park) will be converted into a heritage walk for pedestrians. Bidadari Park will capitalise on the existing terrain, retain a cluster of mature Calophyllum inophyllum, evergreen tropical trees, and accommodate a stormwater retention pond. Helping to mitigate flooding problems in the area, the retention pond harks back to the fondly remembered lake in the former Alkaff Gardens in the area. The existing Bidadari Memorial Garden will also be integrated within Bidadari Park. Bidadari Estate will be pedestrian and cyclist friendly, with seamless connections between transport nodes, the park and commercial developments. To provide for the needs of new and existing residents, Bidadari Estate will feature a wide range of amenities including a new commercial development next to Woodleigh MRT station. A bus interchange, neighbourhood police centre and other community facilities will be located nearby. Other amenities such as places of worship and health and medical care facilities are also planned for the estate. There will be a Bidadari Park Connector that will connect Upper Serangoon Road and Bartley Road seamlessly with the entire estate. There will be a deliberate cycling route planned out and also a pedestrian trial walk to experience the green and nature of the Parks and various green spots. Communal facilities and pavilions will be built to foster greater community interactivity and communications. Travelling in terms of road, public transport or via the greenways will be enjoyable and seamless. HDB’s plans for Bidadari have drawn support from cyclists groups and activists for promoting cycling in and around Singapore Island. 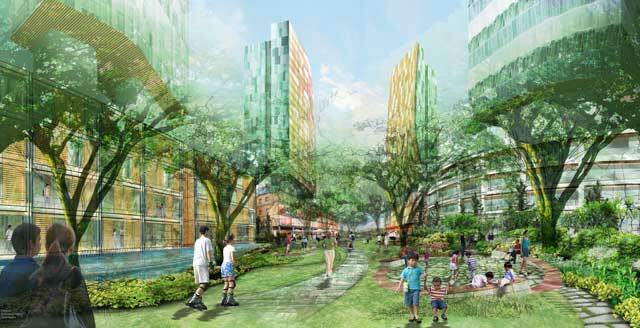 HDB’s vision for Bidadari is for it to be designed for commuting on foot and by bicycle. HDB has consulted on various architects and architectural experts to plan for park connectors, cycling paths and even staircases will be bike friendly via a ramp. There will be a regulation for bike to population ratio: a minimum of one sheltered bicycle parking space to be built and reserved for every six individual built flats, it is worth taking note that is also the same ratio as that for motorcycles. This is believed to be the first time the HDB has spelt out such a ratio. Why Sign up for Showflat Preview?